SmartForks is in its third decade of operation on the Sunshine Coast. 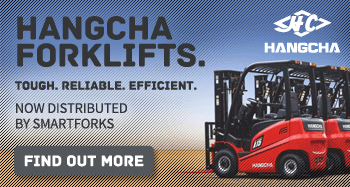 We pride ourselves on being the most complete forklift operation on the Sunshine Coast and are dedicated to offering the best possible service. Whilst keeping up with trends and maintaining a competitive edge, we endeavour to supply a high level of professionalism and quality in all levels of operation. We consider ourselves to have an excellent, well-satisfied customer base in all areas such as hire and sales of all types of forklifts, regular routine maintenance, repairs and parts supply. From our fully equipped workshop at our Kunda Park head office, we operate a fleet of service vehicles and our own tilt tray delivery service. SmartForks has learned that customers want trust-based relationships supported by a focused effort to provide superior products and services.